This New Home, completed in 2002, was designed for a young family. 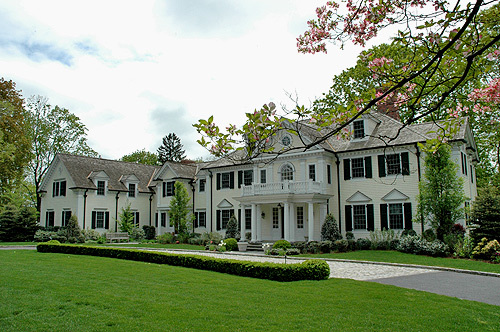 The client's wish list for a traditional Central Hall Colonial was the beginning of the schematic design for this project. Breaking the form into a collage of adjacent pavilions at the rear elevation provides a more human scale in the private garden.